Substance abuse poses a significant financial burden on society in terms of health care cost and other economic indices—an argument made by many engaged in basic translational behavioral/psychopharmacological animal research that targets chemical addiction (e.g., Peck and Ranaldi 2014; Troisi 2013). A recent theoretical paper by Peck and Ranaldi (2014) addressed clinical translations of basic behavioral treatment strategies for drug abuse, challenged their clinical efficacy, and suggested improvements. Their publication is timely because similar arguments, conclusions, and suggestions have recently been proposed (Troisi 2013). This author, therefore, felt compelled to comment. Among several treatments noted in P and R’s paper, Pavlovian-based cue-exposure therapy (CET) and operant-based contingency management (CM) were highlighted. Indeed, it is well established that CET has evidenced little clinical efficacy because of at least three common observations reported in the Pavlovian and operant animal learning literatures: Spontaneous recovery (the return of the response following a delay after extinction), reinstatement (the consequent increase in responding due to non-contingent presentation of the drug reinforcer/US or stressor following extinction), and context renewal (the return of the response following extinction in a novel context) are culprits of relapse (Bouton and Swartzentruber 1991; Bouton et al. 2012; Conklin and Tiffany 2002; Troisi 2013). In regard to CET, several points that follow were not made by P and R that would have augmented their argument. First, extinction in CET is incomplete. Users do not self-administer a placebo thereby leaving the self-administration response intact. Furthermore, only one to nine sessions have been reported (Conklin and Tiffany 2002). Second, as previously discussed (Troisi 2013), drug-associated CSs can evoke cue-reactivity/craving and promote relapse; however, individuals often relapse without craving, and many who crave do not relapse—and might actually benefit from craving (Drummond 2001; Niaura et al. 1988; Rohsenow and Monti 1999; Tiffany and Carter 1998; Tracy 1994). Finally, operant discriminative stimuli (SD’s) have more robust modulatory effects on extinguished drug self-administration responses than Pavlovian drug-paired CSs (Di Ciano and Everitt 2003; Hogarth and Chase 2012; McFarland and Ettenberg 1997). In view of these points, a Pavlovian account of drug-seeking, drug-taking, drug-relapse, and treatment does not suffice. This assertion has been implied elsewhere—and long ago (see Greeley and Ryan 1995; McFarland and Ettenberg 1997). Greeley and Ryan (1995), and later Conklin and Tiffany (2002), suggested that greater emphasis be placed on the role of the operant SD in regulating drug-seeking and drug-taking behavior. Unfortunately, Pavlovian interpretations and models prevail in the literature (i.e., role of the CS), perhaps because of their simplicity and methodological ease in contrast to operant methodology. By comparison, the operant-based CM has greater long-term effectiveness than CET. In CM, non-drug use (as measured by chronic drug testing) is positively reinforced by vouchers, which are exchanged for community goods (Higgins and Silverman 2008; Silverman et al. 2004; Troisi 2013 review). As noted by P and R, however, these effects are only evident by increasing the value of the vouchers over time. When the vouchers are discontinued, relapse rates increase. Crucially, although not addressed by P and R, another behavioral approach referred to as therapeutic work environment (TWE) is more effective. TWE not only reinforces drug abstinence but also systematically shapes and maintains work-related job skills in low-income drug abusers (Silverman et al. 2004, 2008; DeFulio et al. 2012; DeFulio and Silverman 2011). In one investigation, Silverman et al. (2002) reported that up to 60 % of their sample was drug-free 3 years following completion of the study. Peck and Ranaldi suggest that promoting alternative behaviors through environmental enrichment (EE) may be clinically important. They also suggested that continued exposure to drug cues and drug availability with punitive consequences for self-administration, which they refer to as abstinence conflict paradigm, may have greater ecological validity as an animal paradigm to simulate better drug treatment programs. P and R highlight cocaine self-administration data from their lab that demonstrated how EE in rats attenuated recovery of extinguished responding. Similar effects have also been reported with exercise in rats and mice (Zlebnik et al. 2010; Mustroph et al. 2011). It might be even more clinically informative to combine EE and the abstinence conflict paradigm in a choice procedure. One additional behavioral phenomenon reported in the animal learning literature that is likely to be an obstacle for the effectiveness of CM and TWE is behavioral resurgence. In a behavioral resurgence paradigm with rats, the original drug-taking behavior is extinguished concomitant with establishing a novel behavior that is maintained by an alternative non-drug reinforcer (e.g., sucrose). If the alternative behavior is extinguished, the original behavior that was previously maintained by the drug recovers (i.e., resurges). Resurgence has been reported to be a form of context renewal (Bouton et al. 2012; c.f., Shahan and Sweeney 2011). Explicit concerns have been made by P and R as well as others (Bouton et al. 2012; Troisi 2013) regarding the potential for behavioral resurgence (relapse) following CM and TWE if funding is suspended—or following job loss. Under such conditions, alternative pro-social behaviors for alternative sources of non-drug reinforcement would be required to minimize relapse—especially if such novel repertoires were to be executed under specific internal motivating states (emotions, stressors, thirst, hunger, fatigue) that previously coincided with drug seeking and taking. The translational importance of the EE results from the animal literature and clinical treatment research is a significant step in this direction. Peck and Ranaldi made a more than compelling argument for the need for novel and ecologically valid animal learning paradigms to simulate drug abuse and relapse—paradigms that integrate many therapeutic domains. 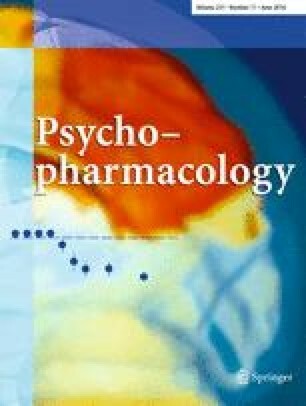 As previously discussed, drug-seeking, drug-taking, and relapse is the culmination of an overlapping sensory gestalt of environmental discriminative stimuli (that set the occasion for drug availability and self-administration) and internal motivating states that coincide before, during, and after drug use (Troisi 2013). Models that simulate complex interactions among Pavlovian and operant stimulus control phenomena may lead to better clinical translation and long-term success of behavioral therapy for drug abuse. The author extends special thanks to Ms. Robin Allard for her copy edits. There is no conflict of interest—financial or otherwise.